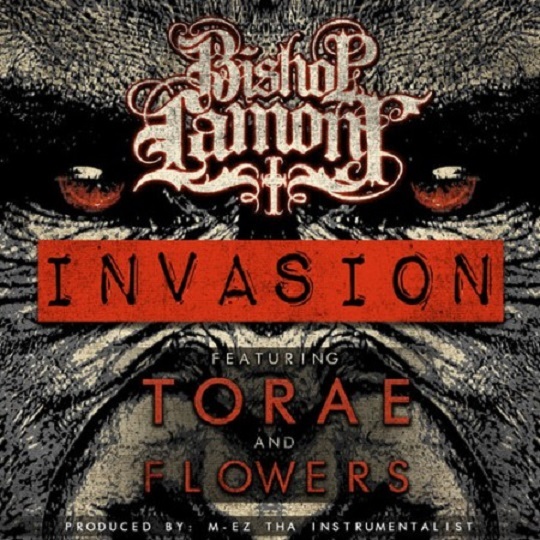 Bishop Lamont is back with a new gritty single titled, “Invasion,” featuring Torae and Flowers. Lamont takes it back to the essence and demonstrates why he can lyrically still keep up with the best of them. Check out the rapper as he goes to work over a raw boom-bap instrumental courtesy of M-EZ The Instrumentalist and calls out the competition. “Invasion” will be featured on Bishop’s upcoming street album, The (P)reformation. This entry was posted in Audio and tagged (P)reformation, Bishop Lamont, flowers, hip hop, invasion, rap, Torae. Bookmark the permalink.